I didn’t make up that quote, by the way, it’s an actual line from the movie, which is problematic because NO ONE talks like that, particularly when there’re being chased by a bunch of assassins. Though the thing is, the actor who uttered the line, T.J. Miller, is always interesting, so I was able to let it go (though clearly not forget). Though one of the many the problems is that what happens when really stupid events occur and the actors aren’t particularly interesting? Or even worse, when stupid things happen when the actors aren’t even human? Well, that’s pretty much the story of the Transformers films: Lots of clearly expensive CGI spending way too much time in an attempt to justify its very existence. And that’s not to say that there aren’t decent flesh and blood actors in the movie. Stanley Tucci, Kelsey Grammer and Mark Wahlberg all have some pretty impressive performances–in much better movies–under their belts, though there’s so little asked of them here–other than to show up and go through the motions–that you can’t take anything seriously. Which is a problem when you’re dealing with a bunch of films that are fantastical by design; there’s nothing to ground them. Though the worse thing it is, it doesn’t need to be as bad as it actually is, which is what confuses me so much. And if that weren’t irritating enough, it’s a remarkably insulting movie as well that feels the need to spoon-feed every little revelation. 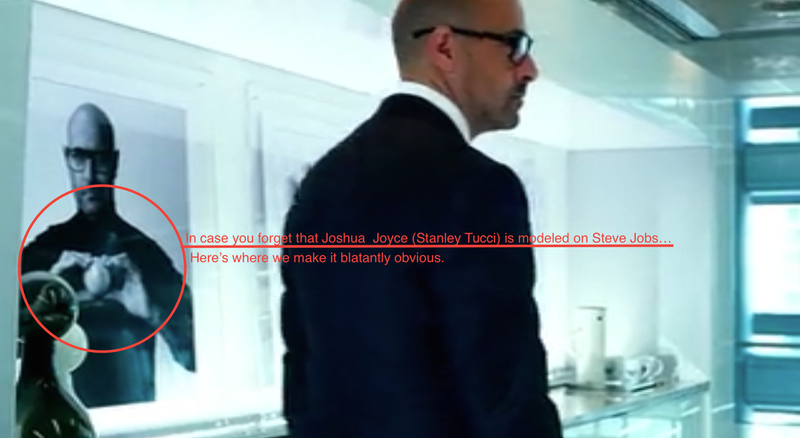 What little story there is revolves around a rich industrialist (clearly modeled on Steve Jobs) Joshua Joyce (Stanley Tucci), who’s aligned himself with a rogue CIA agent Harold Attinger (Kelsey Grammar) to destroy the remaining Transformers so that they can reverse engineer the technology as well as create robots under the control of the govermnent. “Huh?” You’re probably saying to yourself, “weren’t the Autobots humanity’s allies? You’d be right to be confused by the sudden turn of events, which makes no sense at all. Then there’s another plot line, which revolves around a bounty hunter sent from Cybertron to retrieve Optimus Prime. Why Optimus Prime and not the other Autobots? But do you know what? All the above issues would have been mitigated somewhat if the movie were shorter by an hour because that would mean all the extraneous plot threads would either have to be tightened or abandoned entirely. As it stands, the movie is almost three hours long, and plays like Boyhood, expect with a higher CGI budget. And no one has done me enough wrong to wish such a fate upon them. Transformers: Age of Extinction is changing on Netflix. Posted in Movies, Netflix, review, sci-fi.Tagged Autobots, Decepticons, Harold Attinger, Joshua Joyce, Kelsey Grammer, Mark Wahlberg, Stanley Tucci, Steve Jobs, T.J. Miller.